I recently read an article about two individuals who started with nothing but eventually achieved success because they kept a positive attitude despite receiving a lot of criticism. Don’t feel bad if you don’t know what Alibaba Group Holding Ltd does. An Ipsos poll conducted for Thomson Reuters found that 88% of Americans had never heard of the e-commerce company. Based out of China, Alibaba is like a combination of Ebay + Amazon, and is responsible for 80% of all online sales in the world’s second largest economy. Starting today Alibaba’s shares can be purchased on the New York Stock Exchange. This is the largest initial public offering in U.S. history, estimated to raise close to $22 billion for the company. There is a lot of interest in this IPO. Between 35 and 40 financial institutions placed orders for $1 billion or more shares each. 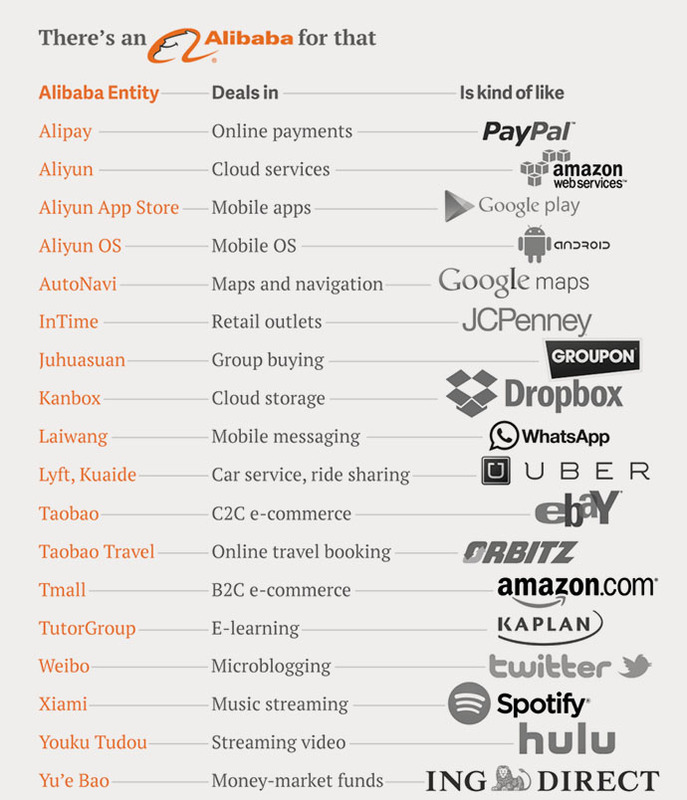 Alibaba and its subsidiaries have huge brand recognition in Asia. With a starting price of $68 per share, the company’s market cap starts at $167.6 billion, making it more valuable than iconic American brands like Walt Disney, Boeing, Amazon, and Ebay. For working or retired Canadians this is great news because the Canadian Pension Plan (CPP) invested $160 million when Alibaba was still private back in 2011 and 2012. Analysts predict that investment has at least tripled in return. Whether the CPPIB will hold the stock after IPO is another question but we shall see. The stock symbol is BABA if anyone is interested 🙂 Expect the trading volume to be huge today. Yesterday Scotland voted on a referendum whether or not they want to separate from the U.K. 45% said yes, but the majority, 55%, voted for no. I guess Mel Gibson died for nothing. Jokes and politics aside I’ll explain the economic significance of this event. The central government in the U.K. currently gives equalization payments to Scotland which works out to be $2200 per individual. If Scotland had broken off from the U.K. they would lose this income along with other benefits such as financial insurance and economic stability. Banks in Scotland currently hold 12 times the country’s own GDP. If their banking system were to ever fail, Scotland alone would not be able to withstand such financial turmoil. The argument for separation is that Scotland would no longer have to give part of their oil revenue back to the central government in England. The North Sea oil off the coast of Scotland is like the oil sands in Canada. It generates a lot of money, and can easily replace the $2200 given to each person and maybe even more. But the question is what would Scotland do once that oil reserve runs out, which is only a matter of time? The uncertainty of future consequences outweighs the immediate thrill of economic freedom. Similar to Quebec’s referendum in the 1990s, it’s exciting to talk about the idea of independence but at the end of the day cooler heads prevail.